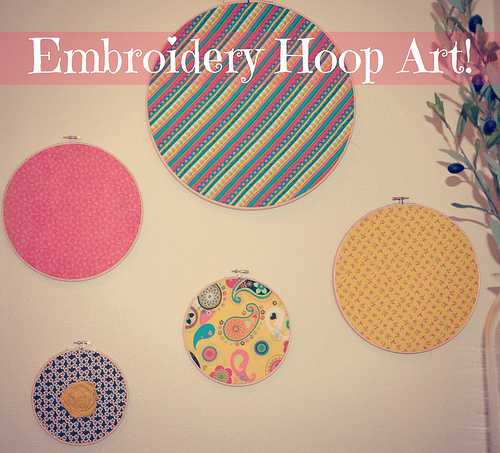 A DIY Take It On Tuesday: Embroidery Hoop Art! It’s TAKE IT ON TUESDAY! Let’s do some embroidery hoop art!!! What should I take on NEXT Tuesday? Love it! Sweet Kevin in the background wanting inside made me smile. 🙂 PS ~ Happy (unmentionable) Birthday!!!! I hope you had a wonderful day celebrating those 4 decades!